I never would have made this recipe if I were not part of the French Fridays with Dorie cooking group. As tasty as it looked in the picture, it also looked complicated. And I wasn’t buying Dorie’s assurances that it was really very easy. Sorry Dorie, but I was more than a little skeptical. Dorie said that it was not all that hard. I was skeptical. Dorie seemed to think that I could get the cake out of the pan without it falling apart. I was skeptical. Dorie (or at least her picture) said that I could mix the blueberries into the cream without turning the mixture blue. I was skeptical. Dorie’s picture further promised that I could cut nice clean slices of cake without making a mess. I was skeptical. Dorie was right, I was wrong. 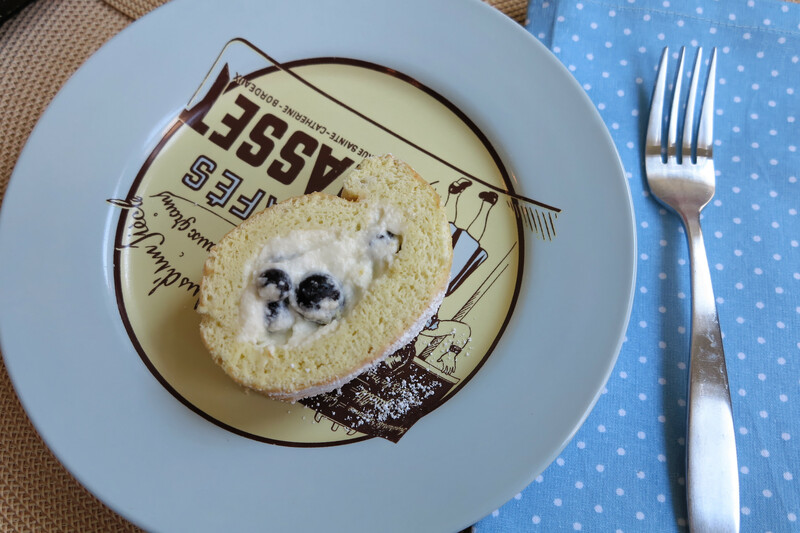 This entry was posted in french fridays with dorie and tagged Around my French Table, cake, dessert. Bookmark the permalink. I think this one was a hit across the board! Yours looks perfect 🙂 Have a wonderful weekend, my friend!!!! Agreed, all the posts I have seen so far have picture perfect, delicious looking cakes. LOL – loved this post. Your photos are marvellous – so pretty. I was so happy that this was easier than I thought it would be. After making this, I may just be able to work up enough courage to tackle a buche de noel this Christmas…. LOVING that blueberry syrup! I was actually thinking of repeating the blueberry part again and then just using the blueberries in pancakes for something so that I could get more of that syrup. Always trust in The Dorie! Looks like it turned out perfectly. I was totally the same! Very skeptical but it all worked out. Yours looks beautiful & I love those plates! I also thought this would be more complicated. I think I have a natural aversion to meringue. 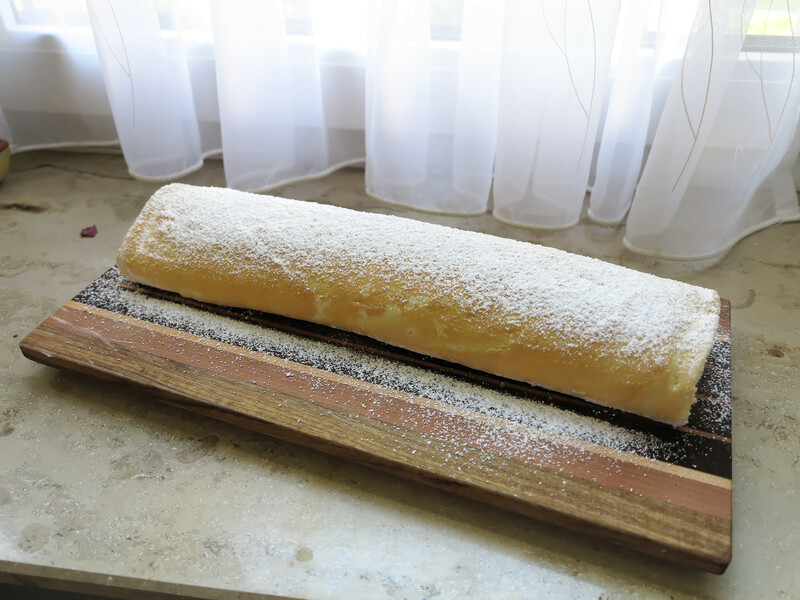 This was my first roulade ever! I always dreaded them! But this recipe proved me wrong as well it was so easy!!! Great pictures by the way! Rose – you got a camera! Yay! I did think this was really difficult! I made it for Christmas 2010 and didn’t re-make it for this week’s challenge. Yours looks just beautiful. 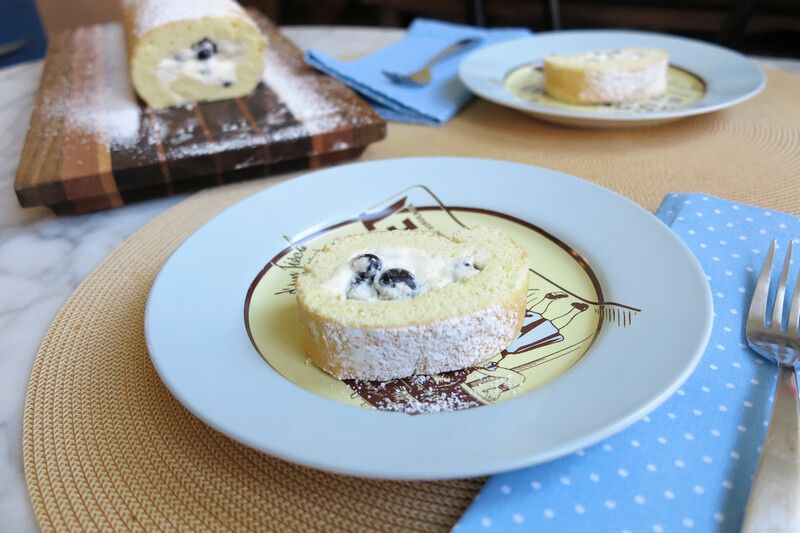 Rose, so nice to read and see that this wonderful Blueberry-Mascarpone Roulade was a great success for you! It looks just lovely! We loved it too and I had a lot of fun preparing it! Rose, Love your post…So glad this turned out so lovely for you! It looks absolutely perfect! What a cute and clever Post, Rose. I had the same thoughts only couldn’t have put them into words like you did. And, your roulade was beautiful. Isn’t it fun to make? We missed your photographs so I am glad a camera has returned to your household. Thanks for your kind words about Michael. Although it’s a blessing, it’s sad for us all. We’ve been missing him a long time but now it’s final. Great post! I’m looking forward to trying this one soon and everyone’s photos are making me want to make that sooner. Yup I thought this would be WAY more difficult too! Pleasantly surprised. I’ll be making this again! Looks absolutely perfect! And there’s absolutely nothing wrong with a little healthy skepticism!